Earn credit for high school and college at the same time with College Connections at Jamestown Community College. College Connections courses are a convenient, affordable way to earn college credit while you’re still in high school. College Connections is a collaboration between JCC and its partner school districts. The program allows students to earn concurrent high school and college credit by completing JCC courses taught in the high schools by highly qualified, JCC-trained and supported teachers. The content, assignments, projects, and assessments in College Connections courses are consistent with those taught on the JCC campus. College Connections students work towards the same outcomes as those enrolled in on-campus courses. Students who successfully complete College Connections courses earn JCC credit, which is verified by an official transcript. High school instructors who teach College Connections courses are reviewed, selected, and supported by JCC faculty. These instructors work with JCC faculty liaisons to ensure that their courses give students an opportunity to experiment with the academic rigor of university coursework while in high school. The College Connections program is fully accredited by NACEP  (National Alliance of Concurrent Enrollment Partnerships), a professional organization for high schools and colleges that fosters and supports rigorous concurrent enrollment. 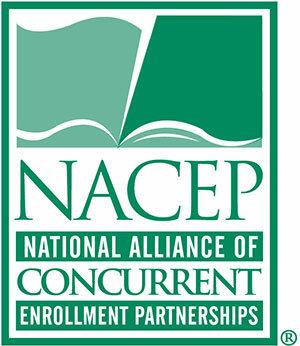 NACEP is the sole accrediting body for concurrent enrollment programs that advances quality college courses in the high schools and helps these programs adhere to the highest standards so that students experience a seamless transition to college. Adherence to NACEP standards provides students with a smooth transition to post-secondary work and teachers an opportunity for meaningful professional development in a supportive collegial atmosphere.